A used car purchase under ten thousand dollars can be tricky. Below you will find the best cars for under 10000. These cars are my best picks that consistently score high in quality, customer satisfaction and have above average reliability as used cars. I classify this article into 3 different types of cars: Economy, Mid-Size and Luxury. A car for under $10k will generally have 75k on the odometer for economy and mid-size cars and up to 100k for luxury models. Keep in mind that a good car can be made into a bad car by bad ownership. That is why I created the “10 Easy Steps” tutorials. Having my 10 Easy Steps as your guide will enable you to safely determine if the car you are about to purchase will continue to be reliable and safe. You will be searching for cars online and you will definitely want to have a Carfax account. I could not operate as a car buyer without one and nor should you. It is the beginning of a process that will provide you valuable information on each car you find online. Get the plan where you have unlimited searches. Click here to get the best Carfax deal on that. The venerable 10th Generation Corolla is about as reliable as an economy car can be. Although it won’t score high on the fun list (unless you pony up for the “S” model) it goes about the business of getting you from point A to B with predictable results. It is cheap to keep. Like a good friend the Corolla is a car that is easy to please, does not require constant pampering, easy-going, unselfish and usually pleasant to be around. 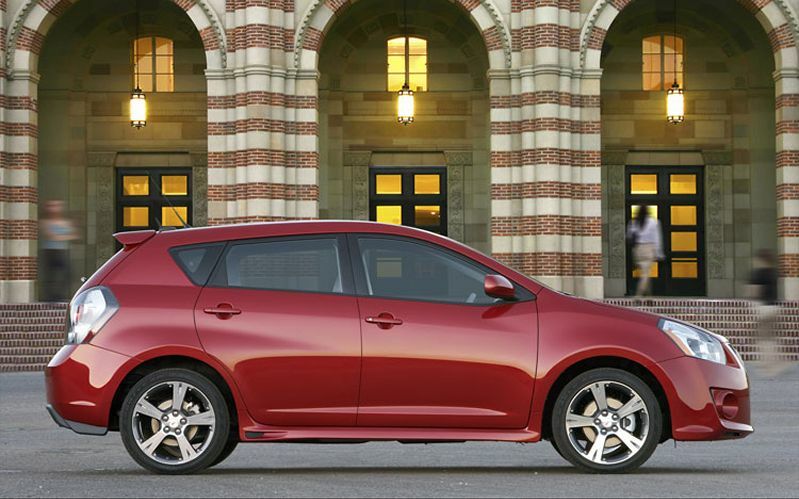 The Corolla is the best bet for an economy car. 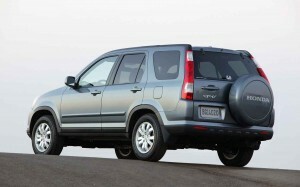 The Honda CRV- like the competitive Rav4 is a practical choice for small families. Room for the dog and it seats everyone comfortably. They are very dependable cars with one exception- the air conditioning unit. It has a tendency to fail and cost a lot of money to fix. Get one that has records indicating that it has been fixed and you are well on your way to happy ownership. There is a nifty fold down picnic table designed behind the rear seats, which is interesting. The CR-V comes in AWD except without the locking differentials. The Fit is a relative new kid on the block of small fuel efficient cars. It appeared on the American shores in 2008. What separates the Fit from the rest of the small car pack is that it is extremely versatile in how the interior can be arranged. I call the Fit the Swiss Army Knife of cars. Just when you think you have it figured out you discover another cool feature that it has. Dependable, easy to work on, decent gas mileage all wrapped up in a well thought out design provide a lot of bang for your buck. The Fit has a fun factor that other small cars lack. Below is a full video review. Although the 2nd generation Rav4 was completely redesigned in 2001 it wasn’t until 2004 that Toyota brought in the really good stuff. 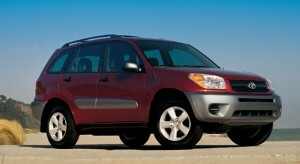 Airbags all around and a new 2.4 engine made this Rav4 as special as it is. This Rav4 is ultra-dependable, practical, tough as nails, light on its’ feet and easy to drive with plenty of power to make it a top pick . It also came in a rugged 4WD version with real world locking differentials for those who like to hit the snow or rugged terrain. The sleeper of the group is the Hyundai Elantra. It was during this time that Hyundai made a name for itself and planted their brand of high quality cars right between Honda and Toyota. Hyundai came so far so fast within a short period of time that some people cannot believe that they are as good as they are. And that is the reason that you can find a great deal on a used Elantra. There is still something in the back of some people’s minds that cannot wrap their brains around the brand being dependable. The Elantra is a lot of car for the money. 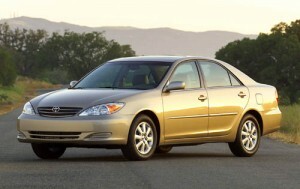 No other car can compete with the Camry in the mid-size category, at least not on reliability. It will get you to church on time and will look great in the parking lot. Having fun getting there is another thing entirely. Though the Camry is one of the best built cars on the planet with an impeccable reputation, it is on the bland side. Opt for the 4 cylinder and you will achieve the mileage usually reserved for smaller cars. The Camry is the quintessential family sedan. The plus side is that you can give it to your teenage kid as a hand me down. With safety features such as four-wheel disk brakes, ESC and ABS, it is a car that will allow you to breathe just a little better. In 2006 the Accord received major mid generation design enhancements. 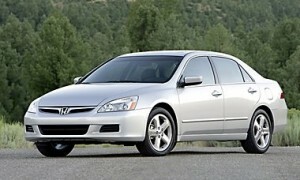 Although it looks basically the same as the earlier model, the changes were significant enough to go with 2006. More fun than the Camry and if you opt for the optional VTEC V-6 you will be rewarded with exceptional performance in a car that would otherwise be classified as just another family sedan. Very dependable. Very Honda. Less expensive than the Accord or Camry, the Hyundai Sonata is keeping with the “best bang for the buck” philosophy that we have come to appreciate from the entire Hyundai lineup. 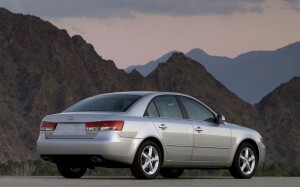 The Sonata received a facelift as well as other key features for the 2008 model. Comfortable, reliable and respectable the Sonata is a bargain in the mid-size category. Redesigned in 2009, the Pontiac Vibe is the identical twin of the 2009 Toyota Matrix with different taillights and badge change. Everything else is exactly the same. Same engine, same powertrain, same Toyota quality. 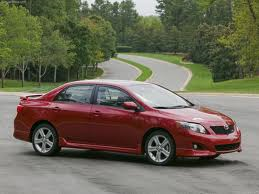 2009 was near the end of the odd partnership GM had with Toyota that saw both cars coming out of the same factory, but because it is labeled a Pontiac it gets discounted in the car world. Not to worry. Even though the Pontiac brand is no longer produced, the Toyota engine is easy to service and all the after-market parts are widely available. The Hyundai Azera was Hyundai’s top of the line product until the arrival of the famed Genesis. This full-size car/ boat scores high on luxury, comfort, convenience and reliability. It was the perfect marriage of ascending Hyundai quality at a bargain price. 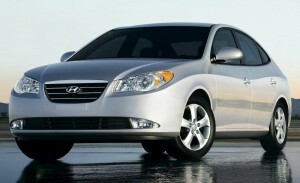 2008 is when Hyundai was well on it’s way to becoming the successful car maker that it has now become. 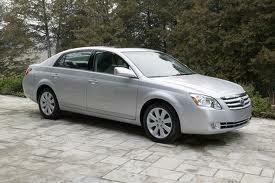 The Azera is a wonderful example of that turnaround. With the big seats in the back it is just a pint shy of a limo, and almost as fun. Toyota’s flagship car was fully redesigned and released into the world in 2005. 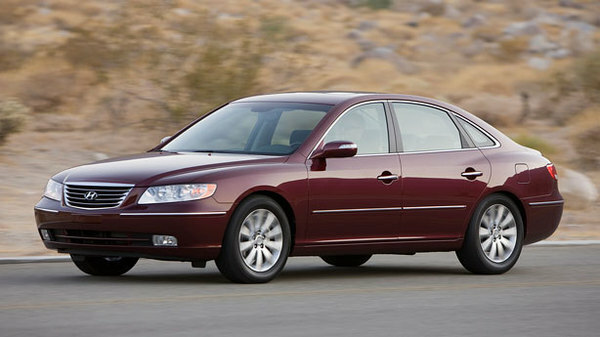 Bigger and better than any other sedan that Toyota had ever produced, the Avalon was a rare combination of safety, luxury and extreme reliability. Ease your way into the ultra-comfortable seats and enjoy the library quiet cabin and then let the smooth 3.5 engine power you along the open road. The Avalon was the pinnacle of comfort coming from the shores of Japan and is one of the best choices in the used luxury category. These are the finest examples of cars that can be bought for under $10k. Please note that in most states there are added fees to your purchase such as tax, title, registration and license fees. Keep in mind that a $10,000 car will not be the same price weeks or months from the time of this writing. Also be aware that the condition of the car will greatly affect the end price. Please visit my website to know how to locate, inspect and negotiate on the car that you finally choose. My website provides the most comprehensive information on the used car buying process that can be found anywhere. Visit CarBuyingSupport for the best car buying tutorials on the web. Greg Macke is a professional car buyer and consumer advocate. He has worked closely in the industry to improve the buyers experience. His high quality car buying tutorials offer help to the car buying public.